Caption slip reads: "Photographer: Hecht. Date: 1955-04-29. Reporter: White. Assignment: Smog. 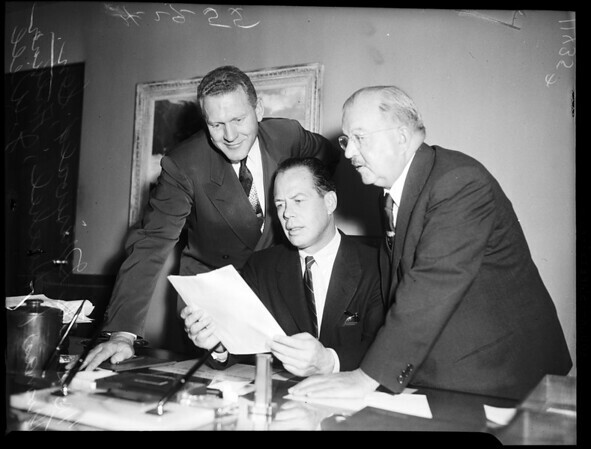 1/2: L to R - Smith Griswald, Sen. THomas H. Kuchel and Arthur J. Will."